If you are on the Colorado 9-11 Visibility mailing list, you might have seen a couple of e-mails recently which deviate from the topic of September 11th. From the beginning, it has been the policy of Colorado 9-11 Visibility, which include our public events, website and e-mail list, to focus only on information which directly relates to the events of September 11th. It was agreed by all that there could be no compromise on this policy and as a result, our group has been able avoided controversies surrounding such topics as immigration reform, gun control, left/right division, UFO’s, etc. However, two recent e-mails sent out to the Colorado 9-11 Visibility e-mail list has broken this policy and should be disregarded. On March 17, 2013, an email was sent via the Colorado 9-11 Visibility e-mail list titled “Another Opportunity for Transparency: UFO Forum at First Universalist Church of Denver”. While we encourage research on topics important to the human race, Colorado 9-11 Visibility neither encourages, nor discourages research conducted into understanding the world-wide UFO phenomenon. We simply leave this work to others whose interest leads them down that path. While we acknowledge an individual’s right to pursue research into subjects to which they find of interest, as a group, Colorado 9-11 Visibility remains neutral on the topic of UFO research. On April 7, 2013, another announcement was sent out via the Colorado 9-11 Visibility email list titled “Webster Tarpley at the Mercury Cafe on Sunday”. This was the second of two questionable emails which should have never been sent because it was not approved by the group. Those who know me well and have been involved in the 9-11 movement for some time, know and understand why I oppose any affiliation or endorsement of Webster Tarpley. Fran Shure was and is well aware of the events which shaped my opinion of Mr. Tarpley, yet still chose to send out an e-mail endorsing an event where Mr. Tarpley was scheduled to be the keynote speaker. I cannot, in a few sentences, sum up why I believe Mr. Tarpley to be a disinformation specialist. However, below please find a brief synopsis and links to a few sources which explain in great detail why Mr. Tarpley should be avoided by any serious activist. Webster Tarpley has a very dubious background going back many years. For a long time, Mr. Tarpley was a key figure in the Lyndon LaRouche political cult. This group is well known for it’s racist and anti-Semitic views and even though Mr. Tarpley claims he is no longer part of the LaRouche cult, his views remain largely unchanged. Mr. Tarpley is also a big supporter of disinformation surrounding the 9-11 attacks and those personalities who push disinformation. He consistently has used his speaking engagements and radio program to push unproven theories about September 11th and to attack and demonize legitimate 9-11 and anti-war activists, including myself. As you will see if you take the time to research Webster Tarpley, I have first hand knowledge of the underhanded tactics used by this disciple of Lyndon LaRouche. You see, a tiger cannot change its’ stripes and Webster Tarpley is no different. My experience with Mr. Tarpley began as a result of the efforts of many 9-11 activists who had for years been trying to forge alliances with the anti-war activists. After all, none of the wars would have been possible had it not been for the events of September 11th, so we saw anti-war activists as our natural ally. We understood that if we could get them to just look at the 9-11 evidence, they would join us and together we would be a viable force for truth and an end to the 9-11 wars. Webster Tarpley, for reasons only known to him, using well known LaRouche tactics of deception, forged a document known as the Kennebunkport Warning. This “document” purported to predict another 9-11 style attack and appeared to be signed by 4 well known and prominent anti-war activists. It was later revealed that these signatures were either forgeries or obtained using dishonest means and all 4 of these anti-war activists denied signing such a document. In what appeared to be a coordinated and orchestrated event, Mr. Tarpley then proceeded to attack these anti-war activists as liars and worse. When this scandal, initiated by Mr. Tarpley became public, I was among a handful of 9-11 activists who publicly spoke up in defense of the anti-war activists. As a result, we were attacked by Mr. Tarpley and very publicly referred to in many derogatory ways including references that we are part of the FBI and COINTELPRO. This was done both at a 9-11 anniversary event in New York City as well as on Mr. Tarpley’s radio program. If you would like to learn more about these events and Mr. Tarpley’s shady past, please see the links below. Webster Tarpley has deep and longtime connections to Lyndon LaRouche. This information is key to understanding who Webster Tarpley really is. Scroll down for announcements of events by other organizations, with a few corrections. Hosted by philosopher, educator, activist, and author Dr. Richard Curtis, Professor Griffin explores at Town Hall in Seattle why some of the best independent journalists in America accept without question the official conspiracy theories put forth by the 9/11 Commission and NIST (National Institute of Standards and Technology) in their investigations of the tragic events of September 11, 2001. Using Bill Moyers and Robert Parry as examples of journalists who have previously demonstrated notable courage, objectivity, and a willingness to examine crucial events in depth, rather than simply accepting a single-minded source, Dr. Griffin challenges their current disregard of the overwhelming scientific evidence uncovered by the growing number of professionals openly supporting the 9/11 Truth Movement and calling for a proper investigation. 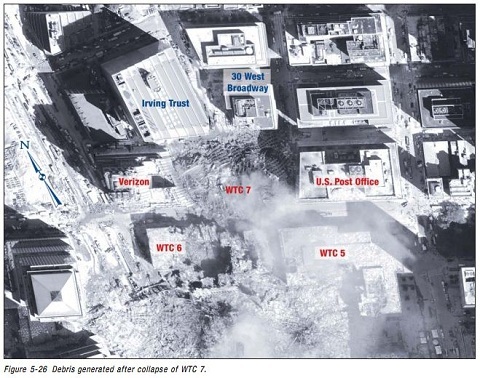 Dr. Griffin explains how careful examination of the official conspiracy theories regarding the unprecedented collapse of the three tallest World Trade Center buildings reveals contradictions and violations of the laws of physics, which he rightly points out as being impossible, and therefore would require “miracles” to achieve, unless carried out by the use of explosive, controlled demolition techniques. Please join us and bring a friend! This is an excellent film for your friends who are new to this issue as well as for those who are informed yet perplexed by the reaction of some of our media’s best journalists. Bio: Dr. David Ray Griffin, Emeritus Professor of Theology and Philosophy of Religion at Claremont School of Theology and Claremont Graduate University, is one of the world’s most influential proponents of the 9/11 Truth Movement and author of 11 books questioning the official accounts of the events of September 11, 2001.